Post-apocalyptic thrillers generally fall into two camps. In one, survivors must battle an outside threat, such as how The Walking Dead handles things. In the other, characters must simply figure out how to survive in the first place. With his atmospheric feature debut Air, director Christian Cantamessa leans towards the latter, though it’s entirely possible that an antagonistic force is out there, waiting to pounce. Almost anything is possible, really, since Air‘s first trailer delivers the bare minimum of footage that a trailer can possibly show. 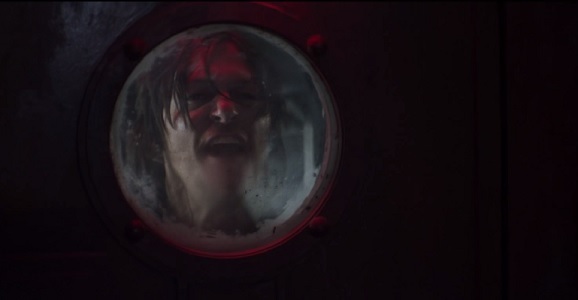 Norman Reedus, an actor for whom smiling characters are a rarity, plays a caretaker named Bauer who lives in an underground bunker in a future where the Earth’s air has become toxic and unbreathable. 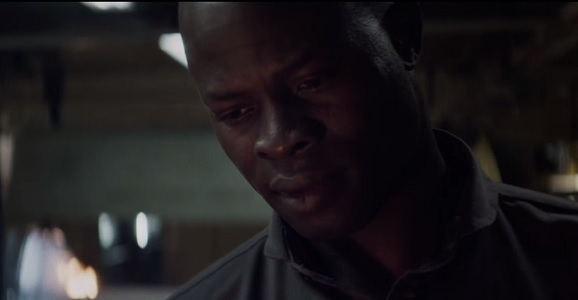 He and his co-worker, Djimon Hounsou’s Cartwright, are tasked with waking from their deep sleep tanks twice a year to perform menial maintenance duties in their hub. You see, these bunkers are where the world’s most promising citizens hibernate, as they will be used to repopulate the planet once the air becomes suitable for human lungs again. So having anything malfunction is not optimal, but that’s exactly what viewers can expect to see play out. What kind of complications will arise? One has to assume it’s something mechanical, but this trailer gives you no real clue about what’s going on. Stock news footage in the beginning talks about the “last and most ambitious phase” of a U.S. government campaign to “end tyranny across the globe.” It’s matched up with footage of destruction and war. So maybe the world outside is radioactive. You can’t be sure, but that’s the implication. While I’m usually on board for a trailer utilizing a “less is more” approach, there’s not much here for audiences to hold on to, especially if they don’t know the logline narrative already. It’s the first film produced by Walking Dead creator Robert Kirkman, so maybe that’s all we need to know about it in order to have faith. Air your opinions about this trailer in the comments.